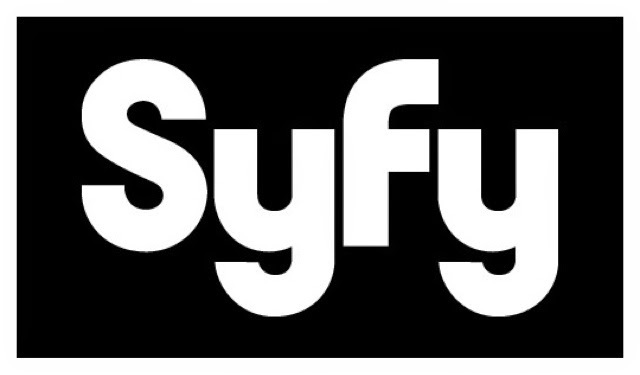 GenreOnline.net: SYFY’S 2014 FALL PROGRAMMING SCHEDULE. NEW YORK – August 8, 2014 – Syfy’s 2014 Fall Programming primetime lineup will feature the highly anticipated six hour event series Ascension, starring Tricia Helfer (November 24); the series premieres of Z Nation (September 12) and the docuseries Town of the Living Dead(October 7); the season five return ofHaven (September 11) and the special 10thanniversary season of Ghost Hunters(October 8). For the seventh consecutive year, Syfy will celebrate the Halloween season with nearly 600 hours of ghoulish programming during the month-long 31 Days of Halloween(October 1-31). Returns Thursday, September 11 at 10PM -- When the series returns for its fifth season, Haven’s protectors are thrust into uncharted waters: Duke (Eric Balfour) is now a ticking time bomb, fighting to contain the Troubles within him, while Nathan (Lucas Bryant) faces his greatest fear that Audrey (Emily Rose) -- the woman he’s fought so desperately to save -- may be gone forever. Haven, which rose 11 percent among Adults 18-34 and 3 percent among Adults 18-49 during its fourth season, is based on the novella The Colorado Kid from renowned author Stephen King. From leading independent studio Entertainment One (eOne), Haven is co-commissioned by Shaw Media in Canada and globally via Universal Networks International (UNI).The creative team behind Haven includes executive producers John Morayniss (Klondike,Rogue) from eOne Television and David MacLeod (Legends of the Fall, The Ray Bradbury Theater) of Big Motion Pictures, who are joined by Lloyd Segan, Shawn Piller, Scott Shepherd (Stephen King’s The Dead Zone, Greek) of Piller/Segan/Shepherd and Matt McGuinness (Journeyman, Franklin and Bash) and Gabrielle Stanton (The Vampire Diaries, Grey’s Anatomy). The series was developed by Sam Ernst and Jim Dunn (Stephen King’s The Dead Zone). Premieres Friday, September 12 at 10PM-- In Z Nation, three years have passed since the zombie virus has gutted the country, and a team of everyday heroes must transport the only known survivor of the plague from New York to California, where the last functioning viral lab waits for his blood. Although the antibodies he carries are the world’s last, best hope for a vaccine, he hides a dark secret that threatens them all. With humankind’s survival at stake, the ragtag band embarks on a journey of survival across three thousand miles of rusted-out post-apocalyptic America. Z Nation stars Harold Perrineau (Oz, Lost) Tom Everett Scott (Southland, Beauty and the Beast), DJ Qualls (Supernatural), Michael Welch (Twilight trilogy), Kellita Smith (The Bernie Mac Show) Anastasia Baranova (The Darkness II) as Addy, Russell Hodgkinson (Big Fish) as Doc and Keith Allan (Rise of the Zombies) as Murphy. Karl Schaefer (Eerie Indiana, Eureka, The Dead Zone) serves as executive producer and showrunner. Acclaimed action director John Hyams (Universal Soldier: Day of Reckoning) will direct the pilot. The series is produced by The Asylum and sold internationally by Dynamic Television. Returns Wednesday, October 1 at 8PM –Running through Friday, October 31, 31 Days of Halloween will unleash nearly 600 hours of bloodcurdling programming featuring the 10th anniversary Ghost Hunters special, the Original Movies Dark Haul and Finders Keepers, and a wide array of spine-tingling theatricals includingTexas Chainsaw Massacre (2003 remake) and The Reaping. Premieres Tuesday, October 7 at 10PM -- The colorful folks of Jasper, Alabama are determined, once and for all, to complete their zombie movie, Thr33 Days Dead… now six long years in the making. Based on a town urban legend, their film centers on a group of friends trying to survive a zombie apocalypse in rural Alabama. The series will follow the intrepid and motley crew of amateur filmmakers as they struggle against every obstacle imaginable to get to a final cut of their film…which could someday become a Syfy movie. The production company is True Entertainment (The Real Housewives of Atlanta, Season 25: Oprah Behind the Scenes). Executive producers are Glenda Hersh, Steven Weinstock, David Stefanou, Todd Hurvitz, Tony Biancosino and Cherie Kloss. Returns Wednesday, October 8 at 9PM --This October, Syfy’s longest-running unscripted series, Ghost Hunters, celebrates two landmark events: Its 10thanniversary and its 200th episode. In the 10th anniversary episode, airing October 8, the TAPS (The Atlantic Paranormal Society) team traveling to Brunswick, GA’s Old City Hall to investigate claims of paranormal activity said to be sparked by a 19th century shooting death. OnWednesday, October 22, Ghost Huntersmarks the occasion of their 200th episode with a two-hour episode that has TAPS returning to one of their favorite haunted locations – the Trans-Allegheny Lunatic Asylum in Weston, WV. Additional newGhost Hunters episodes airing in October take place at: Elizabeth V. Edwards Elementary School in Barnegat, NJ and the historic Clay County Courthouse in Green Cove Springs, FL (airing October 15); and Ohio’s Cincinnati Music Hall (October 29). Premieres October -- A team of secretive guardians transport a deadly creature and its half-human sister to a secure location, but the beast escapes and threatens to fulfill a prophecy – by destroying the world.Dark Haul stars Tom Sizemore (Saving Private Ryan, Black Hawk Down), Rick Ravanello (The Cave, Hart’s War) and Evalena Marie (Remains, Serena and the Ratts). A production of Synthetic Cinema International. Premieres October -- A child becomes obsessed with an evil doll left behind by the previous occupants of her new home.Finders Keepers stars Jaime Pressly (My Name is Earl, Two and a Half Men). A production of ARO Entertainment. Premieres Monday, November 24 at 9PM-- Ascension is an ambitious original drama following a covert U.S. space mission launched in the 1960’s that sent hundreds of men, women and children on a century-long voyage aboard the starship Ascension to populate a new world. Half way into their journey, as they approach the point of no return, the mysterious murder of a young woman causes the ship’s population to question the true nature of their mission. The series stars Brandon P. Bell (Hollywood Heights) as the confident and capable First Officer Aaron Gault, Brian Van Holt (Cougar Town, The Bridge) as the eponymous ship’s captain William Denninger and Tricia Helfer (Battlestar Galactica) as Viondra Denniger, the Captain’s beautiful, manipulative and dangerous wife (who also serves as the ship’s Chief Steward). Ascension also stars Al Sapienza as Councilman Rose, Tiffany Lonsdale as Chief Astronomer Emily Vanderhaus, Andrea Roth as the ship’s head doctor Juliet Bryce, Jacqueline Byers as her daughter Nora Bryce, PJ Boudousque as Nora’s love interest, James Toback, Ryan Robbins as Safety Officer (and Emily’s husband) Duke Vanderhaus and Gil Bellows as Harris Enzmann, the son of the founder of the Ascension mission. Ascension is executive produced by Philip Levens (Smallville) and Jason Blum (The Normal Heart, Stranded, The River, film franchises Paranormal Activity and The Purge) along with Ivan Fecan, Tim Gamble and Brett Burlock on behalf of Sea To Sky Studios. The event series will be co-financed and distributed by Universal Cable Productions and Lionsgate Television. Premieres November -- A group of ‘Doomsday Preppers’ emerge from their bunker 10 years after an apocalyptic meteor strike, only to discover the world is overrun with crazed mutants. The movie stars Kim Coates (Sons of Anarchy, Resident Evil: Afterlife), Holly Deveaux (Hannibal, The Phantoms) and singer Ashanti (song Foolish). A production of Nomadic Pictures.